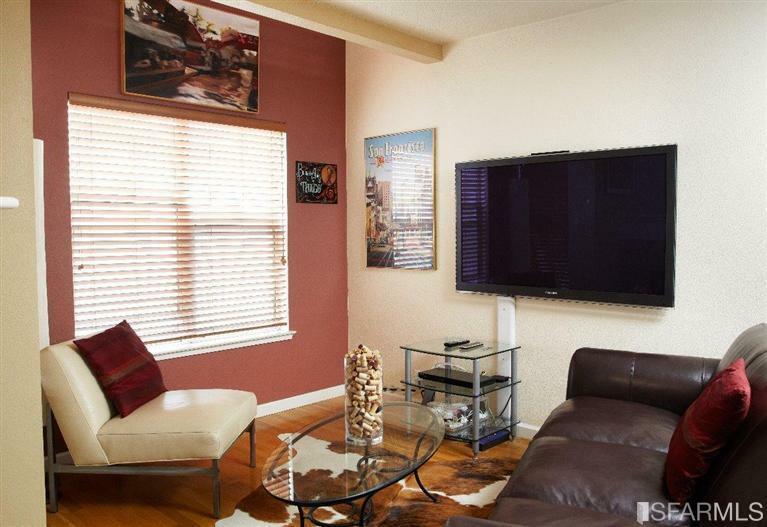 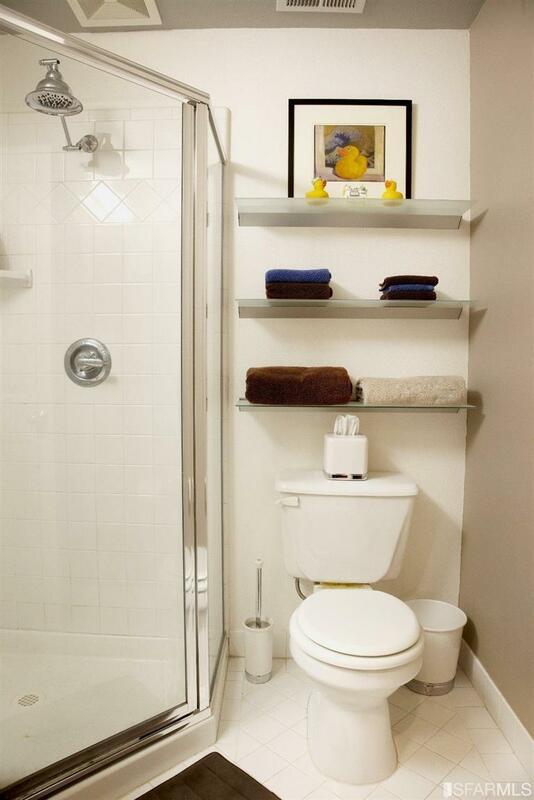 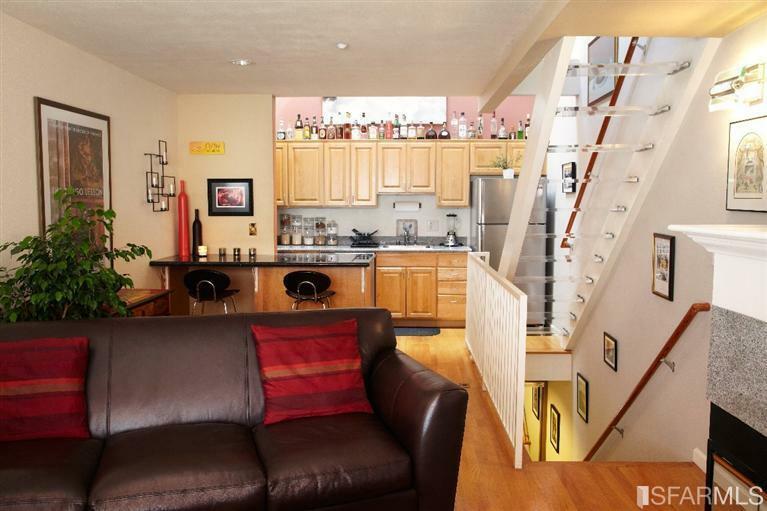 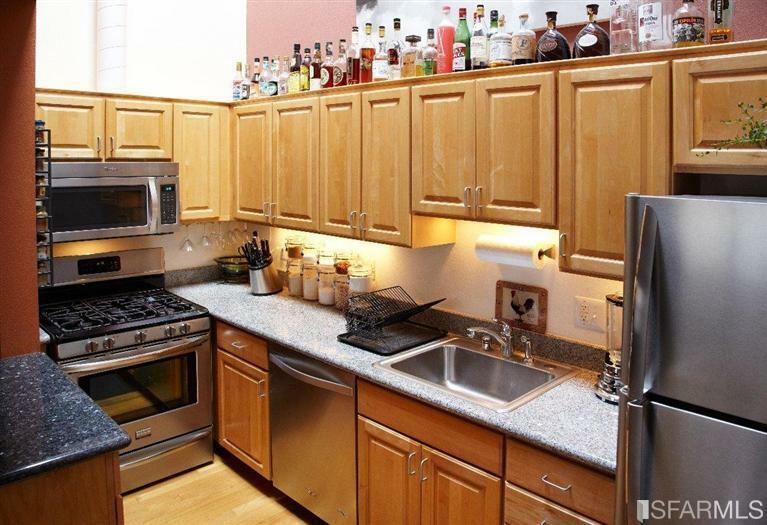 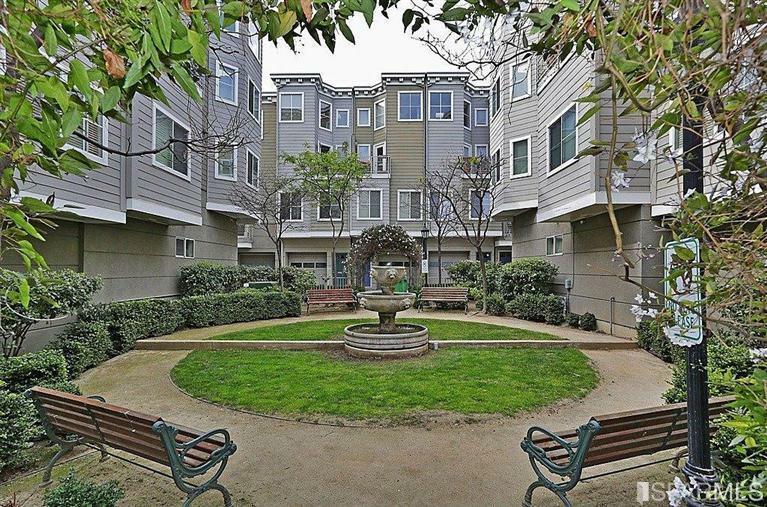 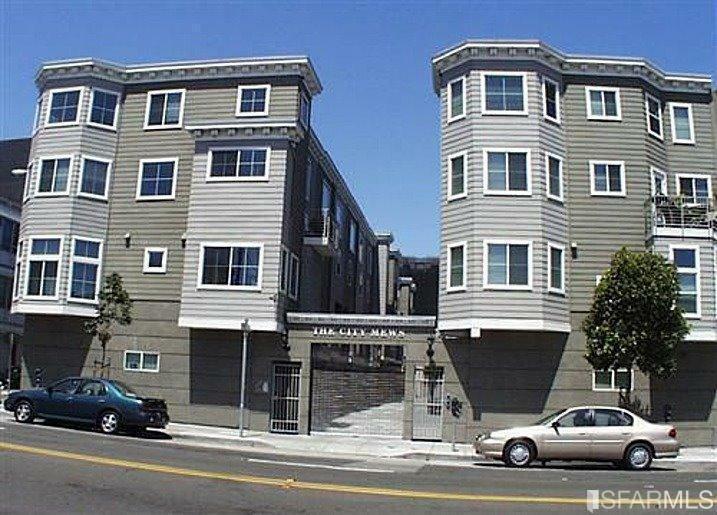 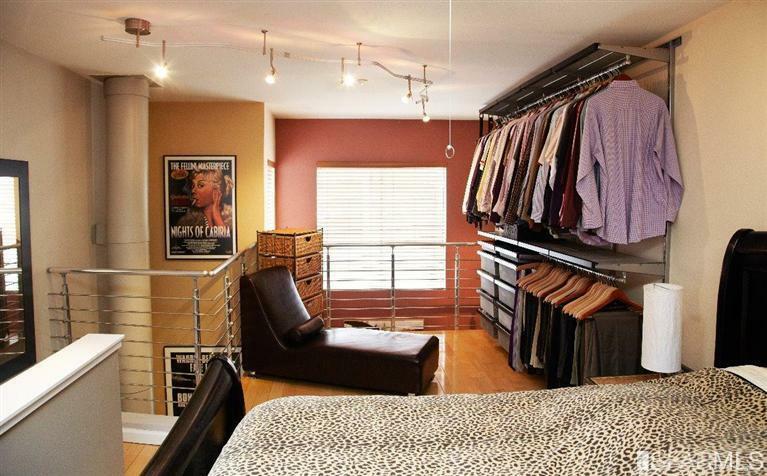 This 1 bedroom plus a large loft unit, is a very rare find in San Francisco. 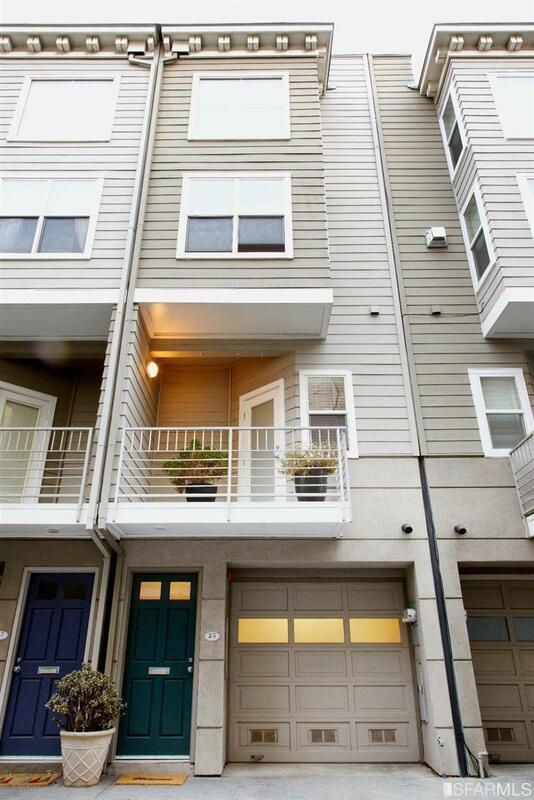 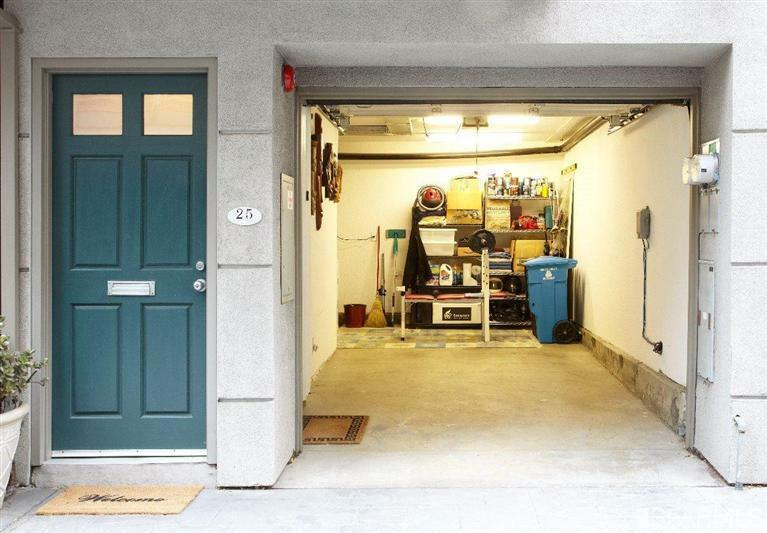 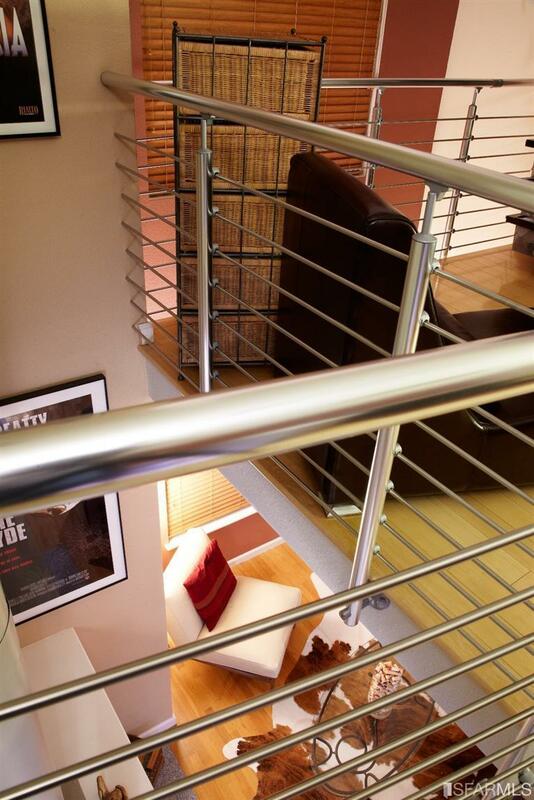 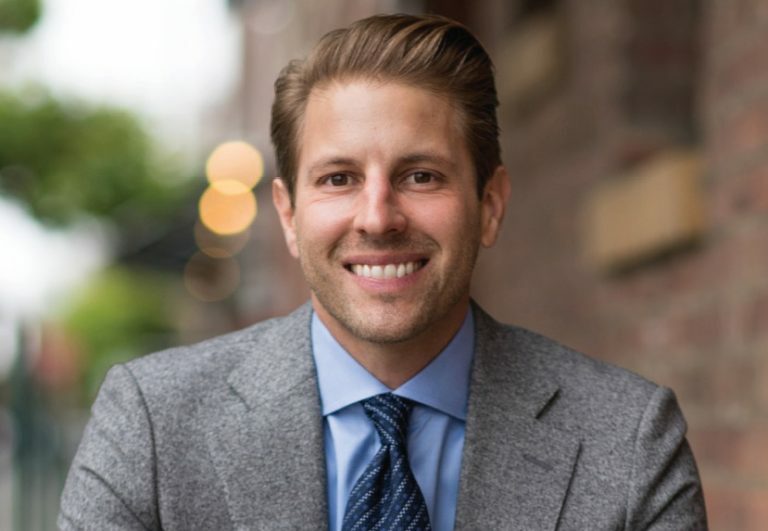 Designed by Award Winning Architect, Donald MacDonald and located in the heart of exciting SoMa district features 4 levels: 1st Level has 1 private car garage w/interior access, washer, dryer and storage. 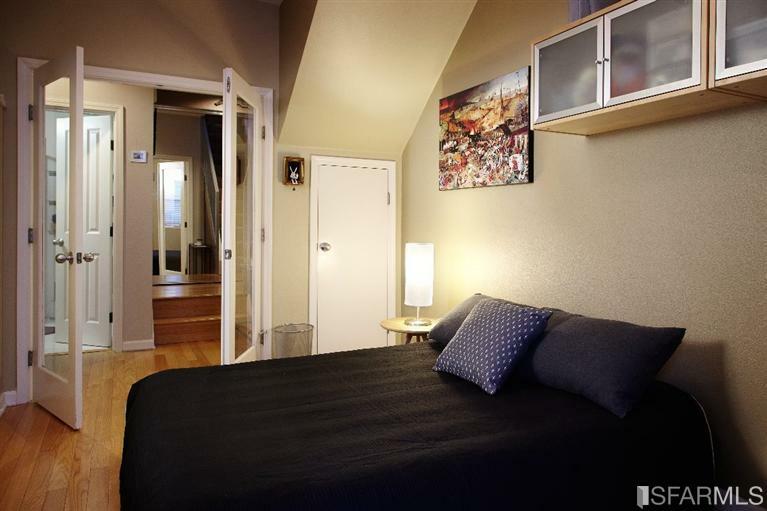 2nd Level; 1 bedroom, 1 bathroom, 3 closets and charming outdoor deck/balcony. 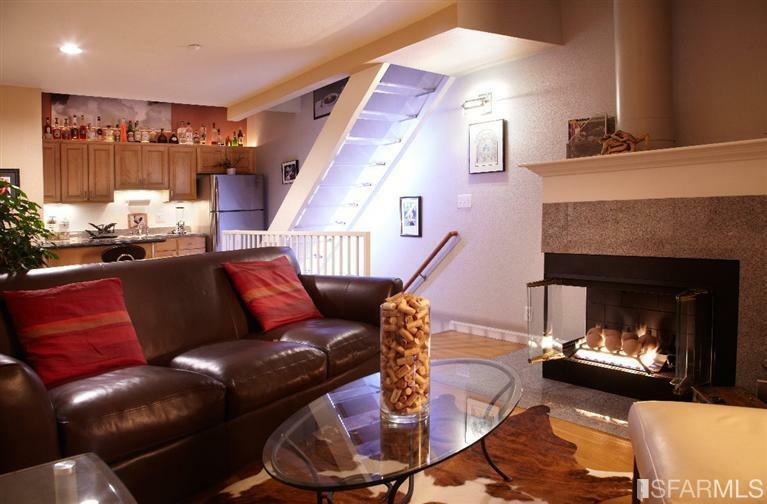 3rd Level features an open floor plan kitchen/dining with stainless steel appliances, granite countertops, new dishwasher, hardwood floors and living room with a gas burning fireplace. 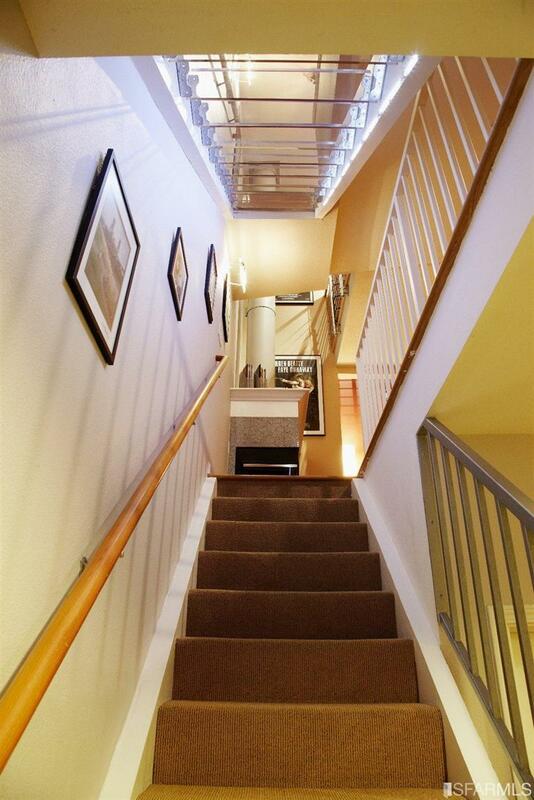 4th Level; acrylic Polymer steps lead to a generous loft with a built-in off-the-wall closet great for a 2nd bedroom or an office/den, hardwood floors and two skylights which allow plenty of sunshine.